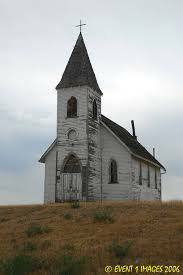 Short Story: The Day the Church Lost the War. The Day The Church Lost the War. You are on a long narrow road, dust stirs around your feet as a light breeze rustles your hair. You continue walking down the road to an old house where two men are sitting on the front porch playing a game of chess. They do not seem to be playing, though occasionally one moves his chess piece, a pawn is taken here, a bishop there, one castles, the other takes a drink of tea. Though they are only half playing, they are fully engaged in conversation. You do not want to ease drop, but you cannot help yourself. Everyone has been talking about an event, a decision made by a court of men on the other side of the country. “Yes, but who do you blame Charles? Who do you blame? You sneak away having heard enough, an interesting conversation, two pastors blaming the church for what had happened. The church abandoned the gospel of the truth of Jesus Christ, the gospel that, by its very nature, shared love. We lost the war because the church abandoned the Gospel, refusing to stand up and profess Godliness in a world that so desperately needed it. We have no one to blame, but ourselves. Thank you Gentry Sutton for pointing this out to me.